While creationist organizations like Answers in Genesis strongly disagree with Charles Darwin’s ideas about all of life evolving from a single organism (macro-evolution), his theory of natural selection actually meets with more widespread acceptance as it relates to how species adapt and change over time—but, as we observe in nature, only within their own kind. Such changes, however, and as we point out frequently on this website, are not evolution in the “molecules-to-man” sense. 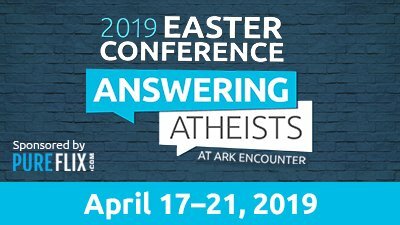 The Creation Museum here in our Cincinnati area (in northern Kentucky) will open a new exhibit this Sunday, March 15, to help explain what natural selection can and cannot do, and how this is supported biblically and scientifically. 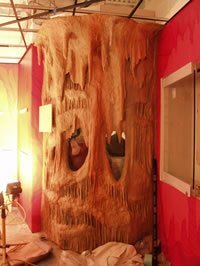 The exhibit, entitled “Natural Selection is Not Evolution,” includes an aquarium that resembles a real cave. This cave aquarium will feature live blind cavefish, showing how natural selection allows organisms to possess characteristics most favorable for a given environment—but again, it is not an example of evolution in the molecules-to-man sense. There is also a series of wall displays with professionally produced models that examine, among other things, antibiotic-resistant bacteria (which are commonly cited as an example of “evolution in action”). Instead, the Creation Museum exhibit will point out how antibiotic resistance in bacteria points away from macro-evolution, rather than toward it. The new display also contrasts evolution’s “tree of life,” showing that all organisms have descended from one single-celled creature, with the “Creation Orchard,” which illustrates the family tree of each original kind of created plant or animal life of Genesis chapter 1. A display entitled “Three Blind Mice” will show the devastating effects of mutation and how natural selection works to preserve animal kinds. A dog skull display will demonstrate how natural and artificial selection has led to variation within the dog kind. The exhibit will also include a mounted display of Darwin’s finches based on Darwin’s own studies and observations from the Galápagos Islands. 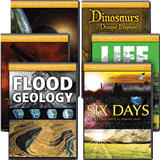 The new exhibit is located near the museum’s popular presentation regarding the geologic evidence for a global Flood. Its proximity to the Flood geology room in the museum was deliberate, as this exhibit also lays the groundwork to understand how Noah could fit representatives of all the animal kinds (not species) on the Ark. 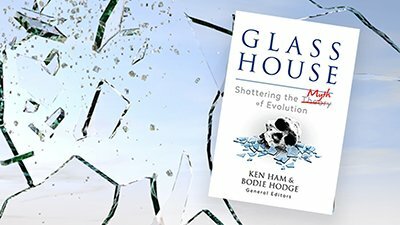 Ham continued, “Our area of disagreement with the evolutionists comes when they start using bad science to state that natural selection could eventually lead from one plant or animal kind changing into another, finally making the leap to humanity.” Not only is this in direct contradiction with the Bible, which states that God created all the various kinds of plant and animal life, including humans, but it also has no scientific validity. The exhibit opens as the secular science world has been celebrating Darwin’s 200th birthday this year, plus the 150th anniversary of the publication of his famous book On the Origin of Species. 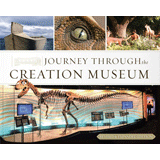 Go to CreationMuseum.org for more information on the exhibit, and then plan to visit this new, fascinating addition to our Bible-affirming center.